Have The Shack Bar & Grill Delivered directly to your door! 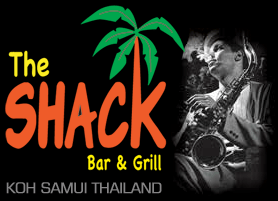 Have	The Shack Bar & Grill	delivered to you, anywhere on Koh Samui! For only 100 baht! You will experience an unforgettable evening as you embrace our jazz and blues style restaurant located in the quaint village of Bophut, Fisherman’s Village. Established in 2003, The Shack is the original and longest standing steakhouse in Fisherman’s Village. 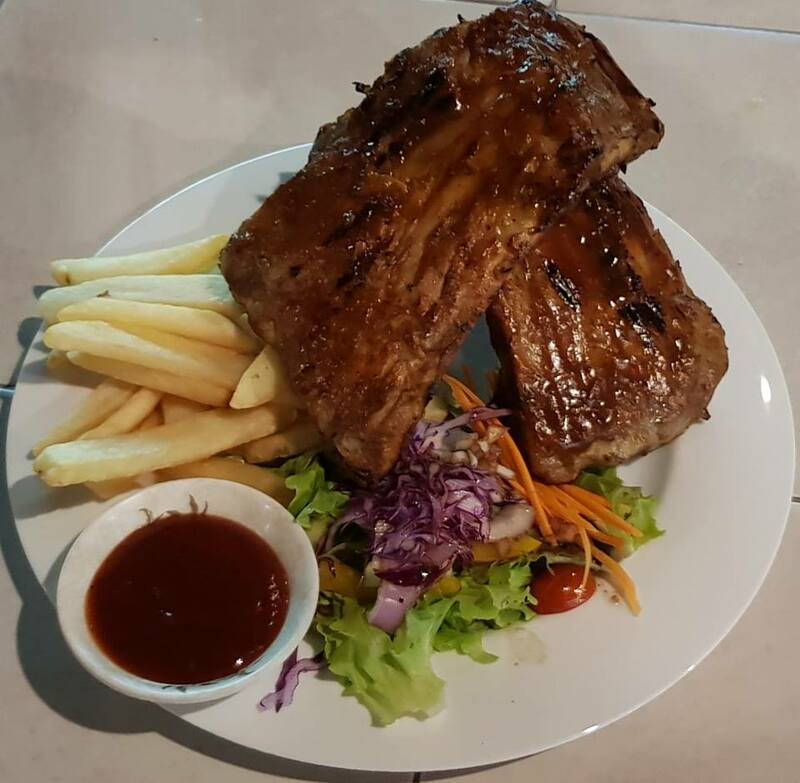 Our mouth watering menu offers daily specials and our barbecue steaks, burgers, chicken & ribs, platters and seafood are amongst the best on the island, importing only the highest quality of beef and seafood from around the world. We look forward to welcoming you to the Shack Bar and Grill, but we have adapted our menu for delivery only through Hangover Samui, and hope that you understand that our signature steaks cannot be included for delivery, as we prefer them to be cooked to perfection and eaten straight from the grill in our restaurant. Homemade Alaskan King Crab cakes in breadcrumbs, fried and served with a mango salsa. 3 pieces. 8 hot Buffalo wings marinated in our homemade, hot sauce, grilled on our charcoal grill. 8 chicken wings marinated in our homemade Hickory BBQ sauce and grilled on our charcoal grill. Fall off the bone, marinated 1/2 rack of BBQ ribs, grilled on our charcoal grill. Average 3-4 ribs. Lightly battered prawns with dipping sauces. 5-6 pieces. Local, hand picked King prawns, fried in a light batter, served with our homemade Tartar and sweet chilli dipping sauces. Average 5-6 pieces. 250g Chilli Cheese Burger, including a choice of sides. 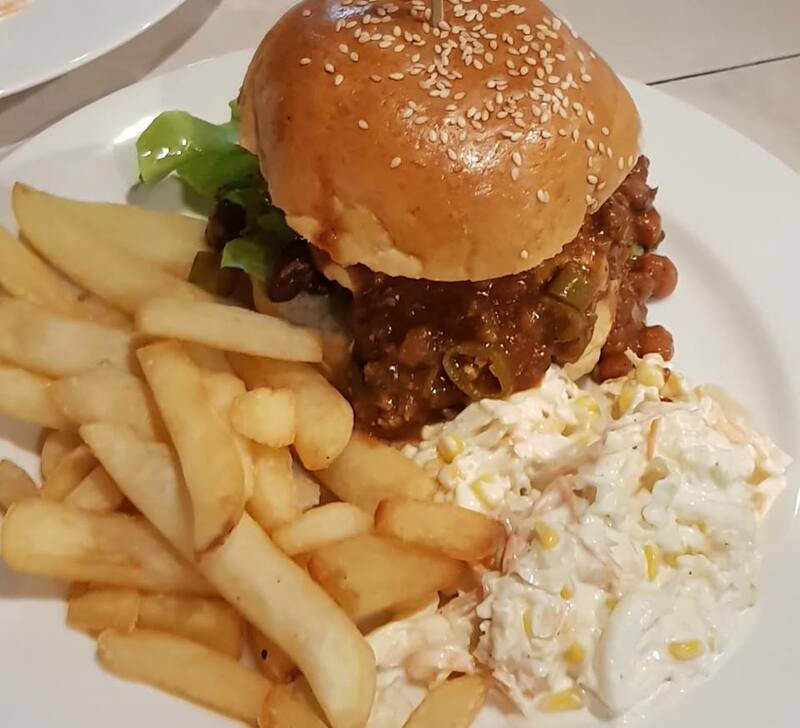 Made in house, our 250g prime beef burger comes topped with cheese and our homemade Chilli-Con-Carne. Includes a choice of potatoes and salad or coleslaw. 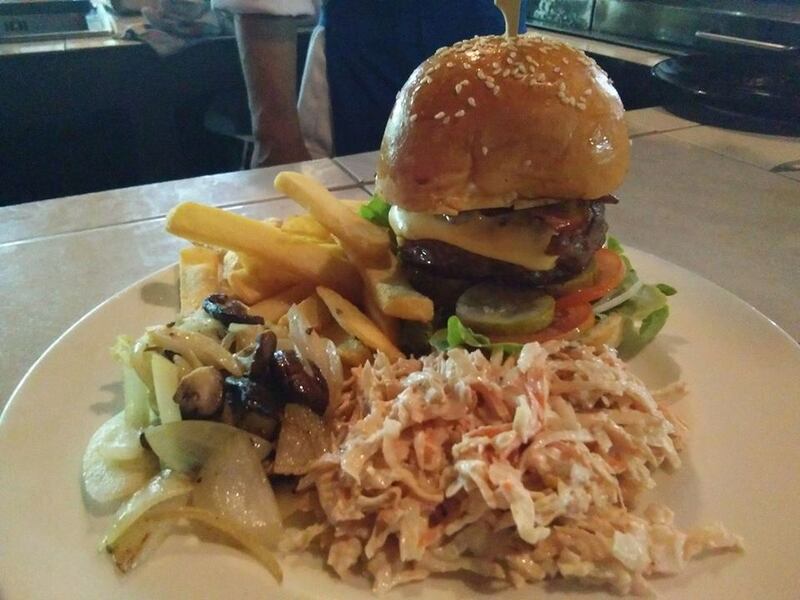 Made in house, our 250g prime beef burger comes loaded with salad, cheese and bacon. Includes a choice of potatoes and salad or coleslaw. Fall off the bone, marinated full rack of BBQ ribs, grilled on our charcoal grill. Average 6-8 ribs, including a choice of potatoes and salad or coleslaw. 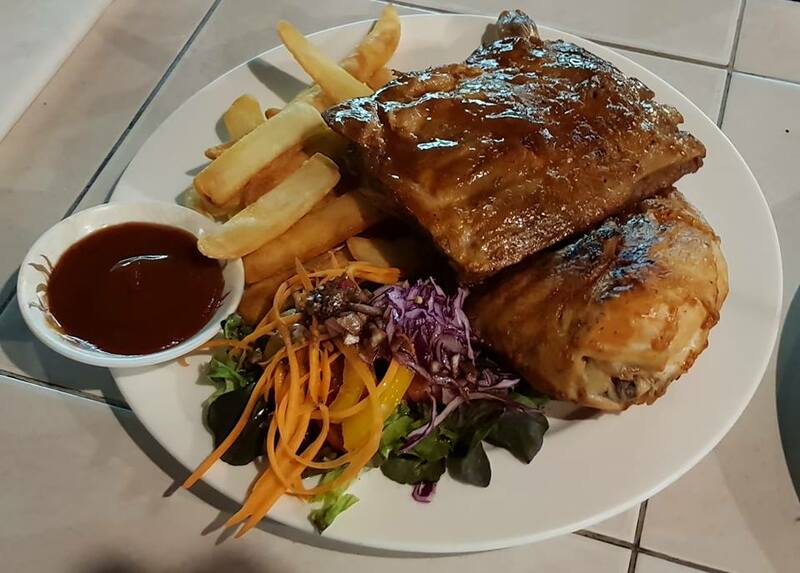 Half a roasted and grilled chicken and half a rack of BBQ ribs, marinated in our homemade BBQ sauce served with a choice of potatoes and salad or coleslaw. Half Grilled Chicken inc a choice of sides. 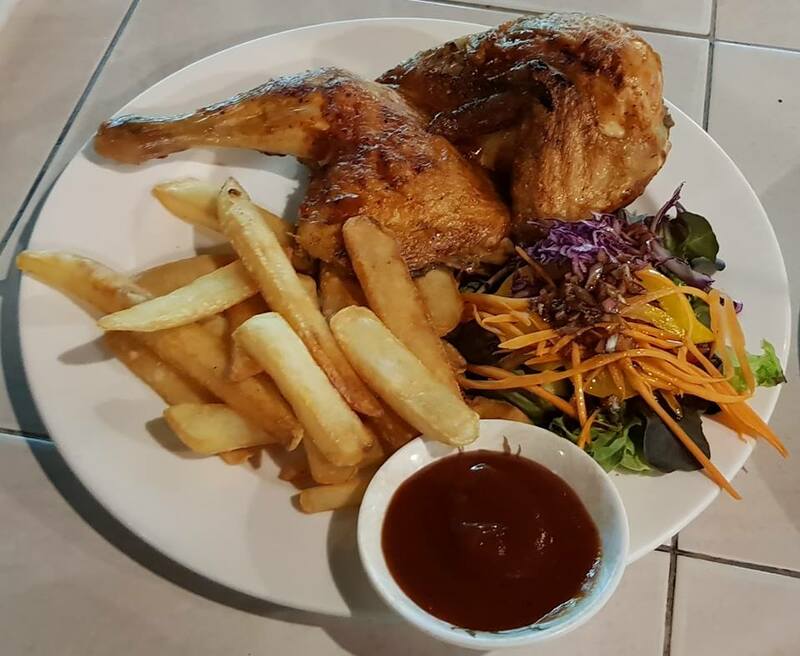 Roasted & grilled half chicken, marinated in our BBQ sauce and served with a choice of potatoes, salad or coleslaw. 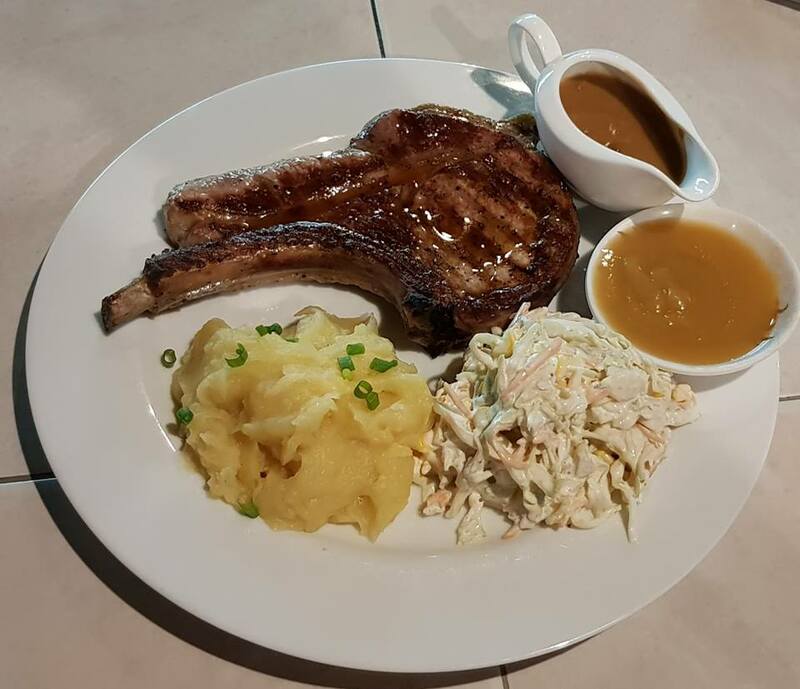 Jumbo pork chop grilled on our charcoal grill served with apple sauce, a choice of potatoes, salad or coleslaw. 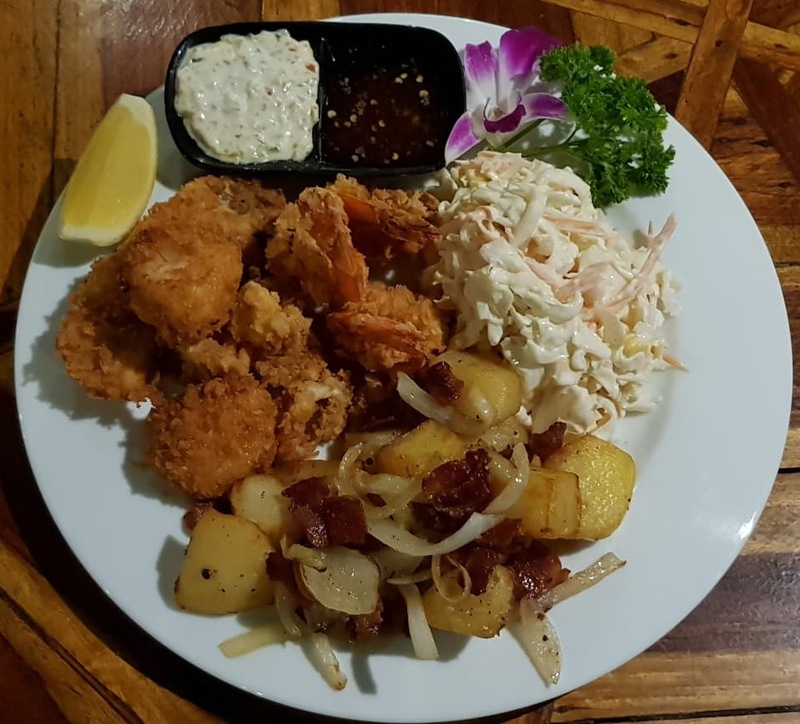 Our combination of lightly battered and fried Baramundi, King Prawns, Scallops and Squid including a choice of sides and homemade Tartar and Sweet Chilli sauces. Pork Tenderloin 300g inc apple sauce & a choice of sides. 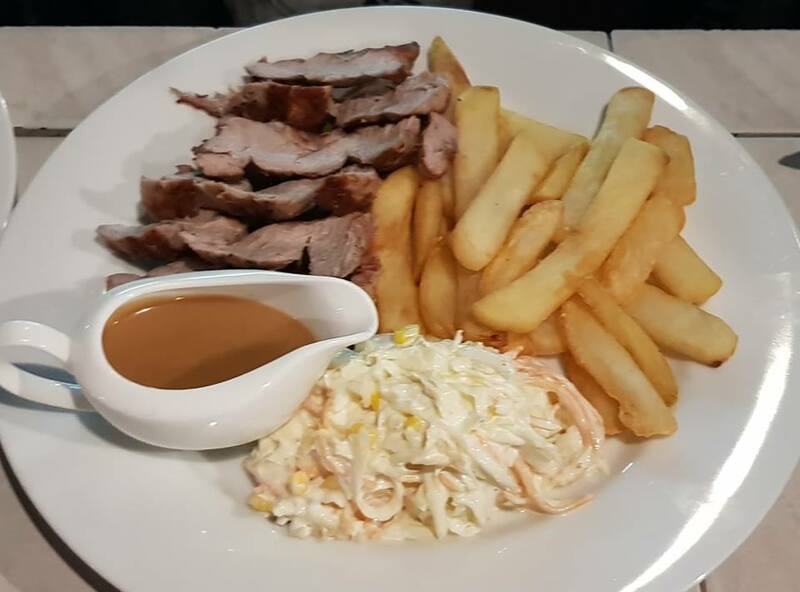 A sliced, 300g, charcoal grilled pork tenderloin with apple sauce, a choice of potatoes and salad or coleslaw. 6 pieces of freshly cut, toasted & sliced baguette garlic bread with melted cheese. There are currently no reviews for The Shack Bar & Grill. To add a review simply click the "Stars" on this page.